Prestige Song of the South is an Apartment complex located in Begur with Price starting from Rs. 30 lacs onwards. Read reviews from buyers and experts. Add a new, wonderful melody to your life Exquisitely orchestrated dwellings designed for those who march to a different drumbeat and believe that happiness is never having to compromise. Set in 36 pristine acres in the fast developing heart of south Bengaluru, just off Bannerghatta Road. Close to major schools, colleges, hospitals, and shopping malls ensuring that your daily life is convenient and hassle-free. Within immediate reach of major transport hubs including the proposed Namma Metro station and eminently accessible from all parts of Bengaluru via expressways and arterial roads. Finely planned and brilliantly laid out homes in a range of sizes and configurations – from one-bedroom all the way up to four-bedrooms, so that you can choose the home that suits you best. Read on and discover how you can make new symphonies of happiness in the home. Amenities at Prestige Song of the South include a fully equipped clubhouse, landscaped gardens, gymnasium, swimming pool, recreation rooms, outdoor sports courts, children’s play area, party hall, and meticulously planned with utmost importance to state-of-the-art 24/7 securities. Renowned R.S.P Architects are the key designers for the Prestige Song of the South project. Close proximity to various IT Parks, business centers and workplaces in and around the Bannerghatta Road and Electronic City. A presence in the retail sector with multiplexes and malls, Prestige has built for itself a name in property development. Explore other Prestige Group Projects like Prestige Fountain Bleau, Prestige Dolce Vita, Prestige Song of the South, & Prestige Falcon City. I recently bought a flat in PSOTS tower 2. The project is well planned and well located. One of the main reason I bought was its location, far from buzzing IT corridor. Though it is a bit far from Bellandur(one of main IT hub of Bangalore). Thanks for doing a great research on real estate . I would like to ask you one question wrt GST. I think we all are aware of GST for under construction flats is 12% and ready to move in is 0. So from investor point of view , having paid the GST of 12% how will he be benefited. This is a total loss . What if builders do a gimmick to sell there inventory and sell at 0% GST?c How do buidlers manage this since this is already built and what do you advise for investors or for people who took this initially for end use but later on want to sell. As per the RERA norms, once builder receives OC, they have to pass GST input credits to buyers. But, in most of the case, Once the OC is received, Builders usually increase Rate/ Sq.ft to match the value & for investors, there wont be much benefit by opting under construction / Ready to move – it’s one at the same. I would suggest investors to look at pre launch project to make good profits. Thanks Harish for prompt response. Is metro expected to come up anywhere near this? I need your help in deciding location for 2 BHK. I visited Song of the South and liked the project. I work at Kadubeshannhalli currently. I have confusion regarding whether i should buy property at East /North bangalore like old madras road, hebbal etc or I should go for Prestige Song of the South ? I am getting 2 BHK at around 77L all inclusive at Prestige song of the south. I am bit worried about road connectivity to Prestige song of the south. Me and my wife like big gated community which is more than 4-5 acre area. Please advise. No doubt, Prestige song of the south is a good project to go with, also the connectivity will improve over the period of time. 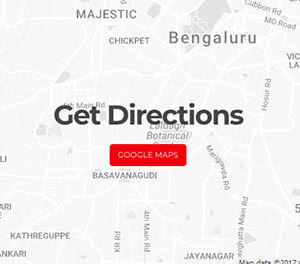 But considering your travel distance to your office and further nearer to IT belts like ORR, Sarjapur road, Whitefield or Electronic city or even maybe towards north Bangalore area, then suggest you to look at SNN Raj Serenity project at harlur area once., because this may suit your requirement and which has larger community similar to Song of south. What would be expected price at the time of possession (Aug 2019 – Mar2020_). Can you please advise based on your research and keeping elections(2019) in to account. •	Salarpuria Greenage: they have some units left from the Phase 1. However, read some issues of land dispute & not sure if this could be a real concern. •	Axis Capstone JP Nagar: both Axis Aspira & Experia- again, liked the location & spacious units. But not sure about builder reputation/quality as they seem to have only few projects so far. Also, pls suggest any other property that seems to meet our preference. Prestige Song of South would be an ideal option if you can extend your occupancy duration or even axis project in JP Nagar is also a better one. Need not to worry about the reputation, because it is almost ready to move in project and you can check the technical and legal feasibility and do the due diligence before proceeding ahead. Hi Ballari. What did you decide ? What is your view on Prestige Song of the South ? When is the exact possesion and how much will it cost roughly for a bigger dimension 3 bhk without servant quarter i.e. 1634sqft. Also i would like to know is L&T doing construction for this project? As per RERA the possession date is Dec 2020. The 3 BHK unit of size 1634 sqft on Level-1 would cost you appx 1.10 crores all inclusive. Yes the construction contractor is L&T. The above Price is inclusive of one Reserved Car Park, excluding GST,Deposits & Registration as applicable. First of all thanks for doing a great job in real; estate analysis . I have invested here in 1374 premium swimming pool facing . .When would be right time to sell for good returns .Any expected price at the time of possession /2019 Jan. Thanks Harish for your prompt response. it is around 30-35% of your flat’s SBA. I am looking for a 3 BHK. Self use for 10 years and sell. I’ll be living in Bangalore after 2020. Which one is better, HOH queensgate or Prestige Song of the South ? YOu should have checked the papers . Do not know how you have signed without verifying papers . this is strange. KPY , I am not sure about this 10% thing as i paid 20% to get the flat booked and i was handed over all the papers. regarding your query of signing the papers without verifying ……this project is approved by leading banks and this is the information that customer will look before booking as well as builders reputation and i guess prestige is the best builder around. and rest i suppose is left to stars to ensure that your project is legal 🙂 …..
you can although get the papers verified from your lawyer. Banks are under stress . so its ok to believe them but dont take it granted.Your r righ wrt Lawyers . It would be waste of money and time . Lawyer will see these papers but not who raised a legal case after that. That info is not passed to your lawyer as he might not be aware.That info is passed to BBMP/BDA office I have learnt this after some horrible experience. Best thing is to approach BBMP /BDA office.I am planning to visit after I get the CD.May visit next week.Will update soon. Should be okay as Prestige is a reputed builder. 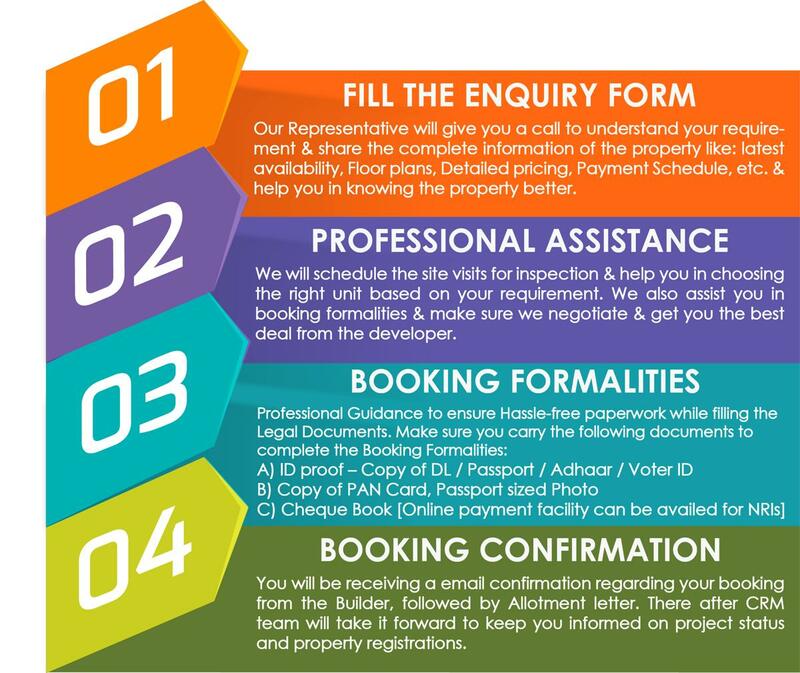 Builder is supposed to give papers once the booking amount is paid. I have paid 3 L but the builder says 10% is mandatory .Is all well with PSOTS ? Please let me know what if all papers are good . I also want to know fom people like me if they have booked and faced similar situations. Project is safe for Investing, All the Approvals are through. As per their policy they shall issue the legal papers once 10% of payment is made. Hello Harish…Could you please help me in deciding between PSOS and Godrej Eternity… Though these are very different locations but i am comfortable with both distance wise from my office…I am looking for self use but would also like the property to give good returns incase i decide to sell it in future. These are the two properties that i have shortlisted based on my research and site visits. Or you suggest some other property in BG road and Kanakpura Road which is better than the two overall. wat will be expected price for this project in end on 2019,will u recommend this project? is it fine to buy 2 bhk here in such high rate in begur road?also,if someone has verified if they have papers cleared? I had bought a flat in song of south on 1st day of the booking. Whoever booked in this Project please share your email ID & Phone number to my email ID – [email protected]. We can create a group and share our thoughts & concerns about this Project in future. Anu , yes the process starting with visiting the site and talking to sales person …their sales team is very professional and have assisted me for all queries (except any bargain on price) which I appreciate as a consumer…..prestige have fixed price…….I have been provided with sales document now and have signed the same……I have not verified the legality of land sales/owner ship though. HI, Is this Project got all the approvals from BBMP? Thanks Mr. Harish, I have booked the flat. I am looking to book an apt at Prestige Song of South and was wondering about how the procedure went? Hope it went well. Have they provided you with all relevant documents? any idea about the launch date ? Project is officially launched, Construction work has initiated and on 2nd of April 2016, They are opening their show flat too. I have booked flat in Song of South on 15th Nov, still I don’t receive any document like (confirmation receipt for my booking amount/environment clearance, other land related document for clarification). I have called and reminded many time to provide the same, no update or responds. More over, Song of South is not registered or not approved BDA. Can you please clarify ? The development plans for Prestige song of south have been sanctioned by BDA. Environmental clearance has also been obtained. Please send a mail to CRM department to obtain receipt for your booking. Legally are all documents correct for this project ? I am planning to buy 3 bhk for self use in prestige song of south this month . Please advise . Any pros and cons please share . All the documents are clear for Prestige Song of South. Besides, All the approvals are in place and construction work has started. Its a good project to consider for self living as prestige is known for quality of construction. I need your advise. I am seriously looking out for a good investment. Please help to let me know if this Project is good for investment and do you see getting good returns on this. I am looking for 2 BHK. Please advise, should i go for this Project or please suggest me some other Good project. Project is good for self living than for investment. As the Location has more supply. You can look at Sobha Silicon Oasis for Investment. I have a savings of 20 lakh. Can you tell me if song of South Will be a good investment. I would also like to hear any alternate suggestions. Project is good for self living than for investment. The disclaimers in the Application form of Prestige Song of South is very one sided in favour of the builder. Have not seen any other reputed builder giving such Terms & Conditions to their customers. Could you please compare the 2 projects of Prestige – Prestige Falcon City and Prestige Song of the South. Which one is better for self use ? Hi Harish, Have they received all the necessary approvals for commencing construction or what has been approved till now ?? I am planning to book a 3BHK for self use. Thanks in advance for your reply. Regards. Hi Harish, Do you think 4500/sqft is good considering 2020 completion ? do you suggest any other project for 3 bhk around a cr ? Rs.4500 is bit higher. But Brand comes with price. Prestige song of south cant be compared with Raj Serenity as both the projects has different configuration. As of now, Prestige song of south is the only good option available for you. I kind of disagree with Harish, in what way the PSOF can be compared to SNNRS? I find both project almost equal with the fact that PSOF has better flats to land ratio. Else SNNRS has either better or equal configuration. First of all thanks a lot for providing one stop detail for all major projects of Bangalore. I’ve three concerns for this project and appreciate your input on it. 1. Payment plan is not construction linked! Should this be a worry? 2. Online on company’s website it is mentioned that builder can cancel project anytime and return the money without interest! 3. Roads are congested; is there any plan to develop a better connectivity to Hosur road? Project is good for self use. Currently roads are congested but there will connecting approach road via DLF town ship. Project is good for Self living & Rentals.